Why Does My Central Air Conditioner Just Hum? First, you notice there’s warm air coming from your vents. Then, you hear a humming or buzzing sound coming from your outdoor AC unit, and you see that the fan isn’t spinning. If so, it probably means you have a bad fan capacitor. A bad capacitor prevents your AC’s fan from turning on, which means your air conditioning system can’t move the heat from inside your home to the outdoors. That explains why you’re feeling warm air from your vents. You’re hearing that humming sound because the fan motor is trying to receive power, but it’s not able to turn on because the capacitor is broken. Why is my capacitor not working? How can I fix a broken capacitor? 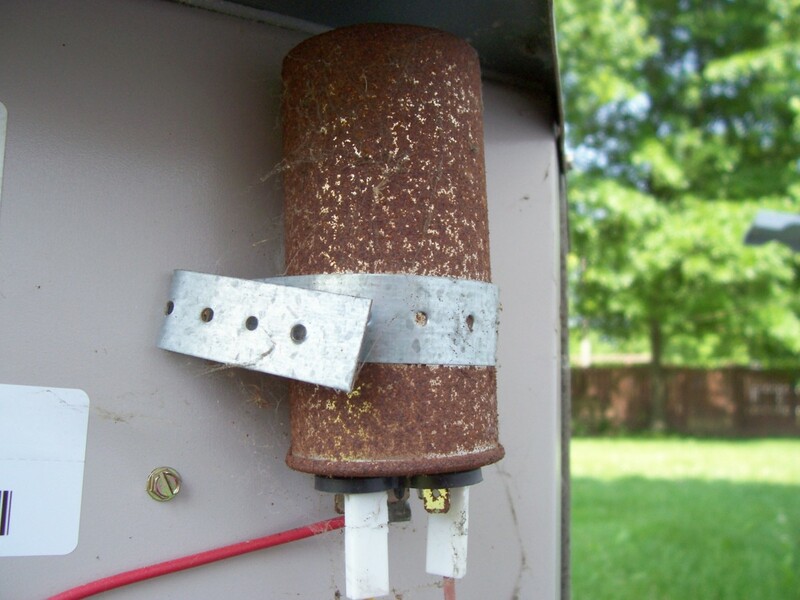 A fan capacitor is a small, cylinder-shaped object that’s mounted inside a cabinet on the side of your outdoor unit. It usually resembles a tin can or a 9-volt battery. Like a battery, a capacitor stores energy. In an air conditioner, the fan capacitor’s purpose is to send jolts of energy to start the compressor, the outdoor fan motor and the blower fan (found in your indoor unit). Just like a battery or other electrical components, capacitors can weaken and lose the ability to hold a charge over time. Usually, this happens because your capacitor has been exposed to high temperatures or high voltage. How can I fix a bad capacitor? For safety reasons, you should have a professional replace your broken capacitor. Damaged AC equipment: You’ll damage your AC equipment if you don’t replace your capacitor. When your fan motor stalls because it’s waiting to turn on, it can cause the motor to burn out. Replacing a motor is expensive, so it’s better to take care of a broken capacitor right away. No air conditioning: Simply put, your capacitor is broken, your AC won’t work. And no one wants to be without air conditioning—especially in the middle of summer. We don’t recommend trying to replace a bad capacitor yourself. It’s dangerous and a hassle. Only a certified and licensed professional has the proper tools and experience to safely replace the electrical components of your AC. Need an AC professional to replace your capacitor? Contact Plumbline to schedule an AC repair. We’ve been serving Denver families since 1998 (and we have a 5-star rating).